Following on from my recent visit to the Hotseat at the University of Gloucester, where I took part in introducing the BA Graphic students to the world of zines, I am planning to give a series of zine-making workshops to be held over the coming months at the De La Warr Pavilion. 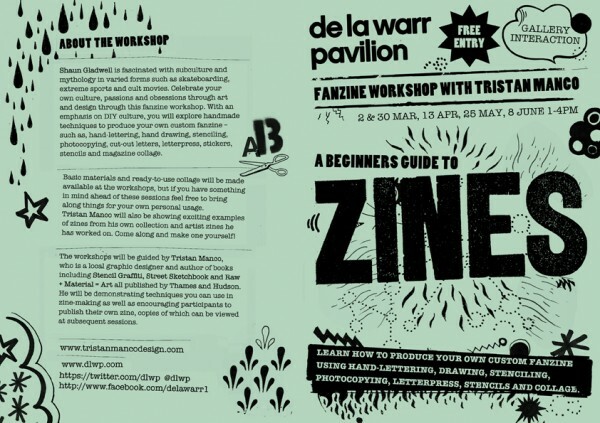 The zine workshops are in response to Shaun Gladwell‘s Cycles of Radical Will exhibition which takes place at the De La Warr Pavilion for the next 5 months and will be seasonally updated during this period. The show is mostly made up of vast panoramic video installations with films made specifically for the space. Not forgetting Gladwell’s roof top “sculpture” a cruciform bmx ramp open to the public who book a slot. 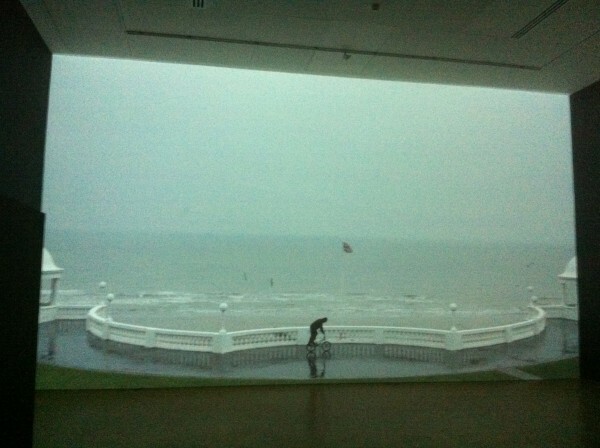 One of the key pieces for me was a video (pictured above) made of professional flatland BMX champion Matti Hemmings set against the backdrop of Bexhill seafront beautifully filmed in slow motion like a ballet movement. Shaun Gladwell is fascinated with subculture and mythology in varied forms such as skateboarding, extreme sports and cult movies. The workshop is intended to encourage visitors to the exhibition to express there own culture, passions and obsessions through art and design through the DIY process of making zines. 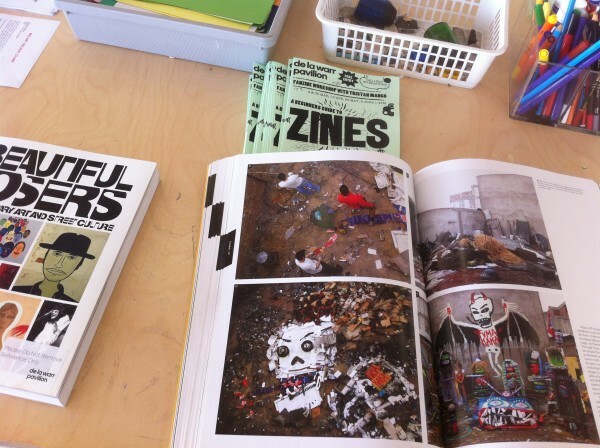 I’ll also be showing exciting examples of zines from my own collection as well as artist zines I have worked on. Basic materials and ready-to-use collage will be made available at the workshops. Outside these times a work station has been set up for people to draw and make zines alongside a selection of interesting zine-related books to browse through and a “Beginners Guide to Zines” photocopied handout designed by my good self.